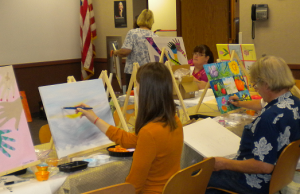 The Rehoboth Art League is an art class for adults and teens to create works of art in various media. The next class is on Saturday, March 9 at 10:30 am. Registration is required. Call (302) 875-3184 to sign up.